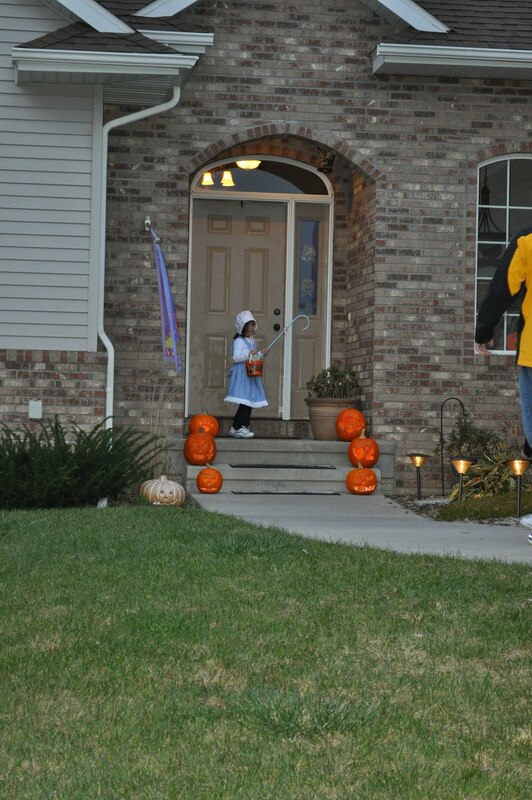 Leila started out the night with no interest in going up to a strangers door and asking for candy. 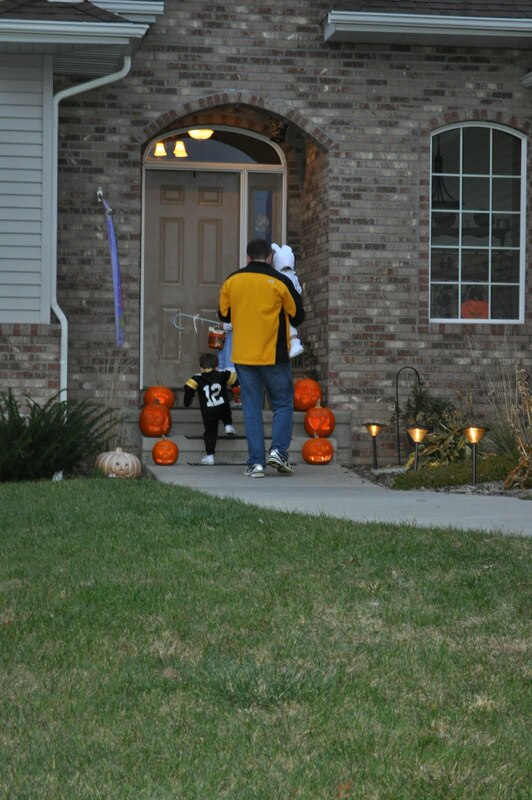 My Dad and I followed behind while Cory and Andrea led the kids up to the first driveway. I assured Leila that she had met the people who lived in this house, and there was no reason to be scared. I guess the allure of candy, and the reassurance that she would not be confronted with a total stranger was enough to give her the boost she needed to head up to the front door. She returned to the sidewalk with renewed confidence, and we were off! I have to appreciate that at the ripe old age of four years old, my little Leila has already discovered the art of self-talk. My first line of defense against the butterflies that have taken up permanent residency in my stomach…or maybe its in my mind, either way, I just have to hope that Leila’s defense doesn’t have to spend as much time on the field as mine does these days. This entry was posted in Leila, Tricia's Thoughts. Bookmark the permalink.